On April 10th, 1925, Scribner published a short novel by popular author F. Scott Fitzgerald which didn’t sell many copies or receive positive reviews. Today, The Great Gatsby is one of the most widely taught works of fiction in the United States. Safe to say, the publishing climate in the 1920s was about as unpredictable as international conflict at the time — so what other bookish things were happening in 1925? New York City’s oldest independent bookstore, Argosy Book Store, opened for the first time in 1925, although it later moved from 114 East 59th Street to 116 East 59th Street. This famous bookstore still sells rare, used, and new books to customers in its elegant townhouse setting — until 6 p.m. most evenings, anyway. Although he didn’t write his first novel until he was thirty-five , I Am the Cheese and The Chocolate War author Robert Cormier was born on January 17th, 1925, in Massachusetts. His books, later adapted into award-winning films, continues to receive flack today for its violent depictions of mental illness and abuse. The New Yorker magazine, a cultural vanguard for New York City and modern culture, published its first issue on February 21st, 1925 — and has hardly stopped releasing world-famous covers, cartoons, and commentary since then. On March 25th, approximately a month before the publication of a book that would change the world, literature lost a legend when short-story writer and proponent of the Southern Gothic literary style Flannery O’Connor died from lupus at the age of thirty-nine. 20th Century poet T.S. Eliot officially published his haunting tribute to post-war Europe, “The Hollow Men,” on November 23rd, 1925, though there are many borrowed lines from some of Eliot’s previous works. Featured Image Via Argosy Book Store. ‘Where the Wild Things Are’ Was First Published Today! 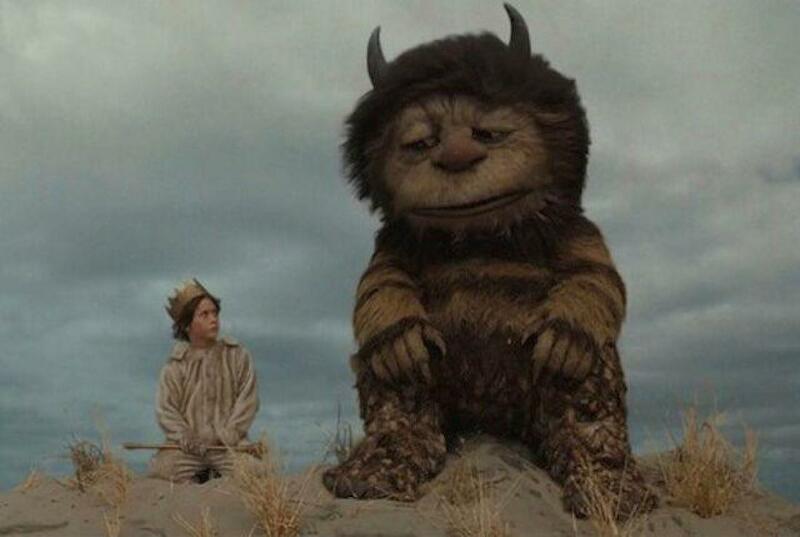 There are few books beloved as much as children’s picture book Where the Wild Things Are, Published originally in 1963, the book was written and drawn by American writer Maurice Sendak. Almost immediately upon its release, it found critical acclaim among the literary community, winning the Caldecott Medal in 1964 and selling 10 million copies in the United States, with those sales reaching 19 million worldwide internationally. It was voted the number one picture book in a 2012 survey. Its also been adapted numerous times, first as an animated short film in 1974, 1983 opera, and then as a big picture screen adaptation in 2009, directed by Spike Jonze, starring Max Records, Catherine Keener, and Mark Ruffalo. The story is a simple one, focusing on a young child called Max who puts on a wolf costume and terrorizes his mother. Sent to bed without supper, he imagines himself visiting an island full of monsters where the titular Wild Things make him their king. But Max grows lonely among them and returns home, finding his dinner waiting for him. Celebrate the anniversary of the book’s publication by cracking it open and having another read through. Chances are you already own a copy. Its one of the most famous children’s books in the world for a good reason, after all. Happy birthday, Wild Things! On this day in 1999, Stephen Chbosky‘s groundbreaking The Perks of Being a Wallflower hit bookstores across the United States. A decade before the rise of YA, this novel was among the first YA publications to tackle issues of death, sexuality, drug use, and mental illness. Though many schools have banned the novel for its candid and earnest depiction of adolescence, audiences have spent two decades loving it for the same reason. Even twenty years after its publication, The Perks of Being a Wallflower remains a relevant and progressive depiction of growing up and the intense desire for understanding and connection those teenage years can bring. Today (when we ought to be more aware than ever before), many feel that YA novels struggle to responsibly depict mental illness. In 2017, Jay Asher’s Thirteen Reasons Why ignited a controversy around its possible glorification of suicide. The novel tells the story of mentally ill teen Hannah, who, before her tragic suicide, records thirteen tapes meant for thirteen separate people—each of whom, she claims, is a direct cause of her untimely death. Critics lambasted Asher (who now stands accused of sexual assault) for framing the story in a manner suggesting that suicide is the only thing that can give Hannah a voice. Critics also feel that the show (and by extension, the book) fixates on the dramatic act of suicide rather than the constant reality of mental illnesses—a reality which is as much dramatic acting out as it is acting like nothing at all. In contrast, The Perks of Being a Wallflower presents a raw depiction of mental illness from a more clinical—and simultaneously more hopeful—perspective. Charlie’s derealization episodes and flashbacks make sense from both a narrative and psychological standpoint, and his PTSD is a feature of the story rather than its emotional core. On December 19th, 1843, a Novella, A Christmas Carol. In Prose. Being a Ghost Story of Christmas or more commonly known as A Christmas Carol was published. Written by Charles Dickens and illustrated by John Leech, the famous yuletide tale this year marks its 175th anniversary. This classic Christmas tale recounts the story of Ebenezer Scrooge, a rich and successful but miserly old man. On the Christmas Eve, his clerk, Bob Cratchit, shivers because Scrooge refuses to spend money on coals for a fire. Scrooge’s nephew pays him a visit and invites him to an annual Christmas party he and his family are hosting, and Scrooge bitterly declines. Two gentleman drop in later that day to ask Scrooge for a contribution to their charity. Scrooge angrily refuses their request and denounces any and all Christmas cheer. Later that night as he is sitting by a warm and cozy fire in his house, he is visited by the ghost of his former business partner Jacob Marley and three other spirits: The Ghosts of Christmas Past, Present, and Yet to Come. All through the night, these spirits haunt Ebenezer Scrooge, and show him the error of his ways. After that night, Scooge is transformed into a kinder, gentler man. In the middle of the 19th century, Dickens was witnessed the abject poverty of working class children in England, and was outraged by the amount of children working in appalling conditions in factories, workhouses and as chimney sweeps. The suffering he witnessed was then reinforced when he visited the Field Lane Ragged School, one of several of London’s industrial schools/orphanages where the children were half-starved and uneducated. In a fundraising speech on October 5th, 1843, Dickens urged workers and employers to join him in fighting against the child labor. He then realized in the days after that an effective way to reach a wide audience and spread his message about poverty and injustice was to write a deep and meaningful Christmas narrative rather than writing pamphlets and essays. The Novel was a best-seller in both England and the United States, but because there were no international copyright laws in those times yet, Dickens didn’t make any money when he sold the American editions. In 1867, Dickens arrived at New York and on December 9, 1867 he was able to read A Christmas Carol at a public reading – which in fact was sold out. Ever since, this classic Christmas tale has been adapted into different versions of entertainment from films to plays to a children’s movie. The first film adaptation was in 1901. Jim Carey voiced the scrooge in the 2009 animated version of A Christmas Carol and is played on kids channels every year around Christmas time. There were rumors that parents used the ghosts of Christmas past as a way to scare their kids into behaving all year. The novella was adapted to the stage almost immediately after publication and had been adapted to other forms of media, including opera, ballet, a Broadway musical, and a BBC mime production. Almost every year, Broadway casts the play in December and it usually sells out pretty quickly along with the Trans Siberian Orchestra. Children are taught the story of a young girl who learned to communicate with the world despite being both deaf and blind, but they hear little of the woman that she became. The fact that Helen Keller managed to find her voice is, arguably, far less remarkable than what she chose to do with it. Yesterday was her 138th birthday, so let her remind you of everything that she was. “Have you ever been at sea in a dense fog, when it seemed as if a tangible white darkness shut you in, and the great ship, tense and anxious, groped her way toward the shore with plummet and sounding-line, and you waited with beating heart for something to happen?